Lightroom Classic Tutorials > Catalogs > Multi-Computer Use > How do I use my Lightroom catalog on multiple computers? Many photographers today are working between multiple computers, for example, a laptop and a desktop. Lightroom can be activated on two computers at a time, but accessing your catalog from both machines isn’t quite so simple as Lightroom isn’t designed for multi-user or network use. I’ve broken it down into six main options, each with their own variations. Lightroom Web—sync your photos from your ‘main’ computer to the cloud, then access them using a web browser on other computers (or mobile devices). Self-Contained—place your catalog and photos on an external hard drive, and plug it into whichever machine you’re going to use at the time. Semi-Portable—place your catalog and previews on an external drive and plug it into whichever machine you’re going to use at the time, but some/all of the photos remain on the main computer or on network accessible storage. Copy/Sync (e.g. Dropbox)—copy your catalog back and forth, using synchronization software such as Dropbox to keep both copies updated (but be careful to let them fully sync before switching). Import from a Temporary Catalog—create a new catalog for the photos on the secondary computer and merge them back into the primary machine when you return. Split and Merge—use one computer as a base (usually the desktop) and export chunks of work out as a smaller catalog for use on the secondary computer (usually the laptop), then merge it back into the primary catalog on your return. Don’t just copy the photos to the other computer and import them again, as you’ll be missed all of the work you’ve done. Even writing metadata to the files (XMP) misses some important data. There are some “solutions” posted on the web for putting your catalog on a network drive using a subst command on Windows or mounting a disc image stored on a network drive on a Mac. These can easily corrupt your catalog beyond repair, simply by the connection dropping at the wrong moment, so I’d strongly recommend avoiding these workarounds. (Putting the photos on a network drive is fine though). In this post, we’ll consider the two simplest options – Lightroom Web and Self-Contained Catalog – but the other options are described in detail on pages 492-507 of my main FAQ book. Next week, we’ll also look at using Store Presets with This Catalog to access your presets on both computers. I’ll use the same layout I’ve used in the book, in case you want to carry on reading about the other options. For whom: You usually work on a single machine, but occasionally you need to access your photos or add new photos from another machine. You must be a CC subscriber. Very easy to set up – just select the collections to sync. Your photos can be accessed from any web browser, even if Lightroom’s not installed. There’s nothing to worry about when you get back to your main computer as the changes automatically sync. Works well if multiple people need access to the photos, even at the same time. Requires a good internet connection, both for the initial upload and while viewing the photos, as there’s no way to cache them for offline use. Edits are more limited than the full Lightroom program, for example, you can’t add keywords, apply your own custom Develop presets or use the Adjustment Brush, to name a few. Storage—Catalog: Stays on your main computer, synced to the cloud. Storage—Photos: Stays on your main computer, synced to the cloud. Storage—Presets: Stays on your main computer. Custom presets are not available on the web. Think about what you’ll actually need to do on the other computer, and whether the web interface will fill all of your needs. If it doesn’t fill your needs, check back again later, as they’re constantly adding new features. If you’re allowing someone else access to your photos using this method (by giving them your login details), consider how much of a mess they could make of your existing ratings! To give them limited access, share the collection and give them a link to allow them to browse, comment and ‘like’ photos. In Lightroom on the primary machine, decide which photos you wish to make available from the cloud and add them to Collections (not Smart Collections). You could drop them all into a single collection, but they’re more easily managed when broken down into smaller groups. Enable Sync for your chosen collections by checking the box on the left of the Collections panel. Wait for the photos to upload. You can check the status in the Activity Center. The Welcome screen gives you easy access to frequently used tools, or if you click Photos at the top, you’ll see the main Lightroom Web interface. From here, you can view and edit your photos, as well as upload new photos. When you return to your primary machine, open Lightroom and simply wait for Lightroom to sync the changes. Again, you can watch the progress in the Activity Center. Summary: If you need access to the full Lightroom program on your other computer, the simplest solution is to place the entire catalog and all of your photos on a portable external hard drive. You can then plug it into whichever computer you want to use at the time. For whom: You regularly work on different computers and your entire collection of photos is small enough to fit on a portable hard drive. Your entire catalog is available. As the original photos are on the same drive, Lightroom’s functionality is not limited. Works for all Lightroom versions, not just CC. There’s no sync to worry about. External hard drive speeds are usually slower than internal drives, so you’d want to choose a fast connection such as a Thunderbolt, eSATA or USB 3.0 connection if possible. There’s a slightly greater risk of catalog corruption when the catalog is stored on an external drive, as they’re more likely to become disconnected while you’re working. Small external drives are at a higher risk of being lost, stolen, or dropped. Storage—Presets: Store Presets with Catalog or Dropbox Sync. Think about your backup strategy, as your portable drive may be excluded from your normal backups, and external drives are more easily lost or damaged. The easiest option is to use backup software to clone the drive onto one or more backup drives, as well as allowing Lightroom to create its versioned catalog backups. If you ever open Lightroom and it’s empty, don’t reimport the photos. It just means Lightroom can’t find the catalog, so plug in the external drive and double-click on the catalog to open it again. You may occasionally need to relink missing files when you switch computers if Windows changes the drive letter or you’re working cross-platform. Turn back to this post and follow the instructions for moving the photos to another drive. I’d recommend option 1 in that post, as you’ll be moving a large number of files. Turn back to this post and follow the instructions for moving the catalog to another drive. Once the move is complete, open the catalog at the new location and check that the photos are linked to the external drive and everything looks correct. (If you’ve followed the instructions above, they will be linked up correctly. Next week, we’ll cover how to share your presets with both computers (and I’ll update this post with a link). Quit Lightroom on Computer A.
Safely disconnect the portable hard drive. Plug portable the hard drive into Computer B. Open Lightroom on Computer B. If the photos are marked as missing, perhaps because the drive letter has changed or you’re moving cross-platform, turn to this post to fix the broken links. A very good article. I have my current library on a portable drive but the iPhone photos that sync into Lightroom are storing onto the hard drive of the machines. Is there a way to move these to the portable drive, and make sure they go there in the future? Look forward to learning about presets next week as I have only put my most frequently used on my MacBook. Out of interest, what ‘important data’ is missing from XMPs? RE: What not to do: Don’t just copy the photos to the other computer and import them again, as you’ll be missed all of the work you’ve done. ***Even writing metadata to the files (XMP) misses some important data***. Flags, virtual copies, collection membership, uncommitted location data, Develop history, stacks, Develop module panel switches and zoomed image pan positions are currently only stored in the catalog itself, and not the XMP sections of the files. Great Article. I am on the Photoshop and LR group on Facebook. Oftentimes people have questions about LR which I am sure you can answer and promote your book. I have responded recently with a recommendation for them to buy your book. I would not be surprised if this year Adobe announces its own cloud storage that will tie into CC products. I’ve heard enough about this and picked up tidbits that it makes sense. This would help end the complicated way I need to use Lightroom from multiple computers in different locations (home or office). They already have cloud storage as part of the LR mobile sync, so allowing that to sync across multiple desktops would be a logical move for them, I agree. did this ever happen? Can you now synch between desktop and laptop using the synch feature? Yes and no. Not through Lightroom Classic, but the new Lightroom CC app will sync between laptop and desktop via the cloud. Its feature set is currently limited as it’s very early days, but for those who need multi-computer access, it works well. If you still need the power of Lightroom Classic on one computer (e.g. the desktop), you can use Lightroom CC on the other (e.g. laptop) just like you’d access photos on an iPad. So if I mainly work on my iMac with LR Classic, then when I travel I can use LR CC on my MacBook to import photos off my SD card to my catalog on my iMac and photos to the external hard drive which is attached to my iMac? Am I dreaming? You’re not dreaming – that works! When you open the LR3 catalog in LR6, it’ll ask for permission to upgrade a copy of the catalog, and you’ll be off and running. It might take a while, but it’s quite straightforward and you don’t lose anything. Thank you for your article. I am about to go overseas with a laptop, Lightroom loaded etc. I had thought about Dropbox as a catalog solution but the data transfer will make this an expensive proposition, so have decided to go with an independent catalog local to the laptop. I will merge this with my Dropbox catalog when I return. But I am unsure where the images themselves will wind up. I don’t want them to stay on the laptop but be also merged into my photo library. Does Lightroom take care of that or will I have to manually move them? Peter, when i travel i create new catalog for each trip, then as i import from the camera LR populates the external HDD. At the same time i then have a second copy put onto a second external HDD – this one lives with my clothing not camera bag. (in case of loss/theft). When i get home i import these from the travel catalog into my main catalog thats located on the studio machine. I use Dropbox to upload completed edits whilst away – usually as DNG with original file included. So, this is my workflow. You are travelling with your laptop with LR installed on it. You take photos whilst abroad and import them onto your laptop, from your sd or flash card, via LR into a folder which you name, say, ‘Travel Photos’. When you get home, you need to ‘export as a catalogue’ that folder to a memory stick or external hard drive by right clicking on it on your laptop within LR. A dialogue screen appears which allows you to tick ‘include negative files’. These are copies of your original images in the format you shot them, ie, RAW or JPEG. Then take that memory stick and put it into your desktop, open LR and go to File and click on import from another catalogue. Make sure you have ‘copy and import’ showing rather than ‘move and import’ and click go! This should bring in copies of your original photos and merge them with your desktop catalogue. You then sometimes have to manually move a couple of folders around to get everything where you want it. Do all this from within LR and you should be fine. You can then do what you like with the data on your memory stick and laptop, I would suggest only AFTER you are sure everything is how you want it on the desktop and all that is fully backed up! Hope that helps. 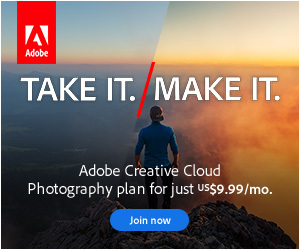 Adobe have a tutorial video on this which is very good. Look up Adobe TV tutorials for LR. Great response Perry. Thanks heaps! I came here to find out exactly that information. I’ll be taking my laptop overseas on a holiday but didn’t want to take my external HD too that has all my photos on there. Thank you. This is great thanks Perry. I have not used the export catalog option in LR before but now knowing I can export the raw files as well, this will be easy then! I will be keeping a secondary backup on an external drive that will read SD cards, in case of a stolen/broken laptop. Many thanks for your quick response. Great Peter – Have a play around with the process with a folder of 5 or 6 images before you go away to make sure you understand it properly before dealing with the critical images! I know that LR uses a SQLite database that is not designed for network use. But what about a LR professional version for network use with multiple client computers? When the developers used an abstract database layer for access, the switch to a network-enabled database is possible. That could be an interesting move. I think they’re likely to do cloud sync first, simply because they already have a lot of the system in place for mobile sync. I’m not being a sycophant Victoria, but this is such a great facility for learning. Thank you very much for all the work it must take to keep the show running! Thanks Perry, really happy to help! I have been using the “Self-Contained Catalog”, but encounter problems because my desktop computer is currently a Windows 10 PC, whilst my laptop is a MacBook Pro. The Windows PC assigns a drive letter to the external HDD, whereas the MacBook refers to it by name. As a result, when I move the HDD from the Mac to the PC Lightroom cannot find the original folders. I can direct Lightroom to one folder, but once done it doesn’t give me the option to find the other “missing” folders. I shall be moving to an all Mac system in time, but for now this is very frustrating. Does anyone know of a workaround? If you’ve followed the instructions above, you’ll have set up your folder hierarchy so that there’s a single parent folder (https://www.lightroomqueen.com/articles-page/long-list-folders-can-change-show-folder-hierarchy/) and then you’ll only need to relink that single parent folder each time you switch. Great post and blog. regarding syncing. Why do collections need to be created to be synced? It just makes more sense to keep them in the folders in LR that mirrors the windows folder layout and sync from there (don’t think one can at the moment). I’m not really seeing the benefits of collections as it can create lost images or folders. What are the practical limits of syncing to the cloud . . . specifically, how many images? I wouldn’t sync my entire catalog (~50K images) but it would be useful to sync the images over a calendar year which could be 2-5K images. Thoughts? I currently have about 39K synced, and rising. It depends primarily on your internet connection, as the cloud itself can handle large large numbers. My internet connection is great. I assume you have collections to mirror your LR catalog structure with so many images synced? do you simply create a new collection each time you import from camera to lightroom? I’m fuzzy on the issue of LR not being designed for network use and am wondering if this issue would prohibit being able to utilize a personal cloud external hard drive like a WD My Cloud Pro as a sort of self-contained catalog that doesn’t need to be plugged in and out (or carried with!) but rather is accessed by whichever device I’m using at any particular time? I’m not sure how WD My Cloud Pro works Tom. If it syncs the catalog onto your local drive, like Dropbox, then you could use it that way. In the ‘self-contained catalog’ solution you suggest cloning the external drive, where the entire catalog and all your photos are stored, onto another external drive for backup. Why not back them up to the hard drive on your PC? Yes, that would work Roy. Just have to be careful you don’t end up using the one on your computer, as that could get confusing. Did you try to use LR in conjunction with Daminion like it was described in this article on Digital Photography School? IMO the major benefit of this way – a special multi-user tool is used for concurrent user accessing on a network environment that was designed specially for this scenario. LR uses standalone database SQLite that doesn’t support concurrent access and any tweaks might potentially corrupt your database. No, I haven’t tried Daminion. As I understand, it’s an alternative image cataloguing tool, like Media Pro and others, but it’s better suited to network use. It doesn’t actually work “with Lightroom” other than being capable of understanding XMP (like Photomechanic, Bridge and others). It could be useful for pro photographers who need a more extensive cataloging solution though. Meant “page”, not age lol. If you don’t often need portability, the 5K iMac is a beauty. And yes, if you’re on an external drive, using both machines wouldn’t be a problem. Having the catalog itself on an external drive on an external is a fair bit slower than having it on the internal drive, so you might decide to move the catalog to the internal drive and just copy it to the external drive when you’re going away with the MacBook Air (or create a new temporary catalog on the MacBook Air and import it into the main catalog on your return, if you’re just adding new photos). I don’t use Apple but the principle still applies. I have all my photo files on the internal drive on my desktop with regular, manual backup to two external drives and an auto cloud backup to Backblaze. When I’m away from home and want to use my laptop, I import from my sd cards into a temporary catalogue (named according to what I’m doing) in Lightroom on the laptop. Now, I’m paranoid about data corruption, so I take LOTS of sd cards and don’t format them until I get home and am sure I have at least 3 copies of my images! Then, when I get home, I import that temp catalogue into my main catalogue on the desktop and only once the whole thing is fully backed up, do I format my cards and delete the catalogue from my laptop. I am also VERY hard on my photos and only keep those that I really love or can use, THE REST GET DELETED as I will not even look at them unless I love them. That way, I keep storage down as shooting RAW and not deleting takes up huge amounts of disc space and increases the risk of disk corruption. If you copy your 1st laptop catalog over to your 2nd laptop, it should let you start syncing. It’s seeing the 2nd laptop catalog as a completely different catalog. This is a great article and shows different ways for people with different needs. I just had a question. What would you say about having your catalog files (including the previews and Smart Previews) on the cloud and having your photos on an external hard drive? That way, the catalog is accessible from both computers (by sync) without having to plug in the external hard drive and if you’re working with Smart Previews, you don’t need to plug in the external drive to work on the files. Yes, that works. It’s one of the options documented in the Copy/Sync (Dropbox) section in the book. Would you say that having your catalog on the cloud reduces the speed in Lightroom? Or does that stay similar to what it is otherwise? The catalog can’t be “on the cloud”, but Dropbox syncs to a local folder, so it works at the same speed as any other local folder. So, I’ve been trying to use it like this for the past week, I moved my catalog to my Dropbox folder, and every time I open Lightroom, or I make any change, Dropbox goes into it’s ‘syncing’ mode and it does so for a long time (my catalog file is around 1GB) and when I open Lightroom, it just doesn’t show anything until about 30 seconds to a minute later. Don’t know if that is because of it being on Dropbox or my catalog is too large. Also, I read a piece somewhere on the internet that having it on Dropbox, there is potential for catalog corruption there. What would you say? You could certainly pause Dropbox while using Lightroom, if you’re having trouble. I’ve never heard of any cases of corruption caused by Dropbox, but opening on another computer before it’s fully synced can cause conflicted copies, which some may result in data loss. Good backups are always wise, whatever you’re doing. My email address is only available to Premium members (book owners) I’m afraid, however I do frequent the forum on a regular basis. Just a limited number of hours in the day! Thank you for your reply, Victoria. I moved the catalog to an external drive and it still seems to load things for 30 seconds to a minute before showing anything. So, I don’t think Dropbox was the issue here. Maybe I should read up on optimizing my catalog and things that may be slowing down Lightroom. And it’s a good thing I am a Premium Member. 🙂 Just got The Missing FAQs book. Maybe the topic of Lightroom’s speed is covered in there too. Have to go digging in there. So, about the email thing, should I just get in touch through the Premium Email Support? I’m getting ready to really begin using LR, and I’ve got a lot to learn, but this topic seems to fall right in line with what I want to do. I’ve got a MS OneDrive account with 1TB of storage, and because it synchronizes to a local drive I was planning to try putting everything – pictures, catalog, and presets – on that drive so it synchronizes to the Cloud. In theory this will allow me to have multiple computers that will get everything synchronized to local drives, as long as I don’t try to open LR on 2 computers at once and the changes are fully synchronized first. And each one should be fast because it will be accessing a local copy. Even in a single computer scenario it should allow me to re-synchronize to a replacement if the computer is damaged or needs to be replaced. Of course I plan to still make backups to separate media, since accidental changes to any of the computers or to the cloud files would result in those changes getting synchronized to all the rest. So I’m wondering if this is different from how others are using Dropbox, if you or anyone else has tried OneDrive this way, and what other caveats should I watch out for? Thanks for the helpful LR info! Hi Thomas. I haven’t tested OneDrive for this purpose. In theory, it should work in the same way as Dropbox, but good backups are definitely worthwhile. Like Dropbox, just make sure it’s fully synced up/down before switching computers. I’m using OneDrive to my full satisfaction since a couple of years. I store the catalog and the previews in OneDrive, the original photos are stored on my NAS with off-line synch to a local disk. I moved the OneDrive local cache from my C: to a SSD for performance and storage purposes. And all this improved a lot since the latest OneDrive versions allow to select what files/folders you want to keep available off-line. The sync process is fully automatic and runs in the background, just pay attention to close Lr from now and then, otherwise the catalog files remain locked for editing and refuse to sync. And I’m publishing (most of) my finished and selected photos on OneDrive as well (1 have the 1 TB subscription). This allows me to work in Lr on my desktop as well as my laptop when at home (network connected). When away, I can always work on my photos via the previews that were generated. > Should I just create my catalog on my external drive, move the external drive to the main computer and then merge the latest shoot collection into my Main computer’s Lightroom Catalog? That’s a simple option. Alternative is to place your main computer’s catalog on the external drive (as long as it’s a fast drive) and then plug it into whichever machine you want to use at the time. I use team viewer (remote access) to access my main Lightroom computer with Lightroom catalog and photos. No syncing, no worrying. Everything else just seemed like a gamble. That’s a good solution, as long as you have good internet access. I think Victorias idea of using the same external drive between both computers is the most practical working solution for me. I will also keep that drive cloned with another back up drive kept in a separate location for redundancy. I have recently moved from PC to Mac and am looking at ways of speeding up my workflow whilst maintaining flexibility across 2 computers. My current setup consists of a MacBook Pro together with an iMac. Most of my editing is done on the latter, but when away from home I’d like to be able to carry on editing on the MacBook. For me the simplest solution is to have the Lightroom catalog on an external drive which I can move between computers. Ideally, I would utilise an external SSD for this purpose, but at present this doesn’t appear to be a viable option because of the size of SSD needed. Would there be a benefit to be had from utilising 2 external drives, i.e. a relatively small SSD to take the catalog alone, whilst the photos remain separate on a Thunderbolt HDD? Hi Michael, I’ve replied to your email, suggesting that you use Chronosync to copy the catalog/previews to the MacBook’s internal SSD and use the external drive for the photos. I am a new-ish portrait photographer. I work primarily with LR CC, and sometimes with Photoshop CC. I was totally excited to receive a Microsoft Surface Pro 4 for Christmas, and I am really, really struggling with how to work with my LR via this Surface Pro 4. I do not want to store a bunch of photos on the hard drive of the Surface. I just want to access LR, to be able to work remotely on what I already have uploaded on my main computer. I read through the article, and I still am clueless how to make this work for me. I understand that I cannot sync a catalog, but I cannot even find the “box” to check next to my collections to tell my LR to sync them. Would love some help for this photographer trying to figure things out. lol! Thank you in advance. If you have a CC subscription, you probably just haven’t turned on sync yet. Click your identity plate in the top left corner and click Start next to Sync with Lightroom Mobile. (Note that you can only sync a single catalog to the cloud). Once you’ve done so, little checkboxes will appear on the left of the Collections panel and a checkbox also appears in the new collection dialog. You obviously can’t sync this into Lightroom desktop on your Surface Pro, but you can open a browser on the Surface Pro and go to http://lightroom.adobe.com and sign in to your account to view and manage photos uploaded on the desktop. If you need to use Lightroom desktop on the Surface Pro, then you’ll need one of the other options listed above. There’s more detail in my main LRCC/6 book if you need it! All the changes I made of the weekend appear. Today ? NOPE ! I have no changes to the pictures. All the photos I deleted in the group and are gone, the images are just un edited with my changes. It sounds like you usually write the metadata to the files on both computers, but for some reason that didn’t happen this weekend. When you get home, open your home catalog and check your changes are still there, then select the photos and hit Ctrl-S (Windows) / Cmd-S (Mac) to make sure the changes are written back to the files. Then try reading them again when you get back to the office. Have you considered putting your catalog on the external drive along with the photos, to avoid this hassle? I’m hoping you can help me with this. I have 2 laptops and a network drive. Both laptops have Lr. The catalogs have not been synced. One of my laptops, a PC (with an empty catalog) I’d like to use in the field and the other (MacBook Pro (MBP)), I’m planning on using as my primary final editing machine. All of the physical photos will be stored on the network drive. However, before I transfer any field work to that drive from the PC, I would like to import the images into Lr and make decisions about what to keep and what to get rid of (not every shot is a winner as you all know). Once moving them to the network drive, I’d like to access them from the MBP for final editing. (I shoot mostly in RAW, so need Lr to do the heavy lifting of doing the first image triage). Now, sometimes, it’s necessary to apply edits before I get home. I don’t necessarily have to keep the edits. I could, I think, just move the physical files over to the network drive and then import them to the MBP and reapply the edits as necessary. But, based on what I’m reading above, it sounds like I might be able to selectively merge parts of the catalog from the PC to the MBP. Assuming that the folder structures are the same on all devices. Am I reading that right? I’m using CC and would prefer not to use any cloud-based solutions. Yes, if you don’t care about keeping the edits, just transferring the photos is the easy option. Keeping the catalog on an external drive that you plug into whichever machine you’re using at the time is another easy option. Selectively merging parts of the catalog would also work. It adds a degree of complexity, so you probably wouldn’t want to be doing it on a daily basis. You can simplify it by creating a new PC catalog for each shoot, and then when you get back to the desktop, you transfer that shoot catalog onto the Mac and then use Import from Another Catalog to merge it into the main Mac catalog and reconnect it with the new network drive files location. There’s step-by-step instructions for all of these scenarios in the book if you get stuck. Hi Victoria – in this situation – if you DO CARE ABOUT KEEPING THE EDITS how do you go about bringing the edited images into the main Catalog when you import. FREX my situation is the reverse of the OP – main Catalog is on LR Classic on a Win 10 workstation, with either a Macbook or a Win 10 tablet with a copy of the LR CC. Some edits are done in the field on the mobile devices and if there is a desire to import those (im assuming that data is held in the XMP files) how can you bring that into the main LR Classic catalog to preserve the edits so far. Hi Brnz. 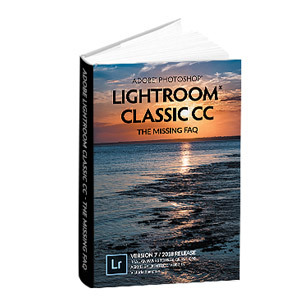 When you say Lightroom CC, this is the new cloudy LR CC, or the much older Lightroom CC 2015? That detail is essential in giving you the right instructions. This is a great post. Thank you! I have an iMac with a beautiful large screen where I really like to do all my LR and PS work, but it’s often in use by one of my kids. (It’s our family computer). I’m considering buying a MacBook Pro but trying to decide if the setup is going to be too fussy for me. I’d really like to be able to edit photos on my iMac desktop when possible, so I’ll likely go back and forth between the MacBook and iMac. I read the solutions above for how to do that, but don’t really want to ‘fuss’ with re-exporting my catalog every time I change machines. Putting the catalog on my local drive and backing up through Dropbox or Google Drive seems like a good option but I’ve read horror stories about catalogs getting corrupt that way, and personally I’ve had some bad experiences losing files with those services… So my question is – how awful is the performance if storing the catalog on an external hard drive? I don’t want to sit and wait for photos to load and actions to process… Is there any other option I’m missing considering? Thanks so much. LOVE your site. PS One other thing I would consider if it’s really a much better setup is to stick mostly to using the MacBook and just occasionally using the iMac when I have a lot of editing or something more complex. Would that be an easier setup? how would you work that? Thanks again. You’re welcome Rivki. I work between an iMac and MacBook Pro all the time, via a Dropbox sync, and have done for many years. I haven’t tested Google Drive for this purpose. In all that time, I’ve never had catalog corruption. I have had “conflicted copies”, where I accidentally opened LR on the other machine before they were both fully synced, which is the main risk. In that case, you just have to pick which one to stick with. Previews do seem to get messed up from time to time, but I just trash and rebuild them overnight. You could do the same thing without a cloud service, just using something like Chronosync to do essentially the same. The thing to watch out for in this scenario is that you remember to sync whenever you finish using LR, or you could end up working on an outdated copy of the catalog. The catalog on an external drive is certainly the simplest option. Performance isn’t horrible if the external drive is fairly fast. I’ve used a small USB3 external enclosure with an SSD in it in the past, and that worked very well. There’s a greater risk of corruption in this scenario, simply because most corruption is due to a hardware error (e.g. the drive becoming disconnected while writing). Whichever option you go for, just back up the catalog regularly. As long as you do that, your risks are pretty low. Thank you so much. I’ve been experimenting with the external hard drive and it seems to be working well. I’ve also found that editing on my 15inch MBP is pretty good so I’m not going back and forth very much. I expected to miss the iMac but the 15inch MBP screen is really good enough if I hide most of the menu items. At the moment I have the catalog (as well as all the photos) on the external hard drive. I would love to try storing the catalog on my hard drive and syncing with Dropbox, and the photos themselves on the external hard drive… Do you know where I can find instructions on that? Thank you! Pages 496-499 in my book runs through that scenario. It’s basically a case of moving the catalog and previews to the Dropbox folder and letting it fully sync before you try to open it. If you have enough space on your internal drives, you could consider creating Smart Previews for the photos and letting Dropbox sync them too. Then you’d be able to edit on either machine without the external attached, and only need access to external when you want to edit in PS or export full resolution images. Excellent, will check it out. Haven’t made it that far in the book yet but will read those pages. Thanks so much again. I want to use Dropbox. I have the catalogue in DB and it works great. Here is my unique situation. I do work for Kim using images she share with me in dropbox. I use her LR account. We have the catalogue shared in Db so whoever opens it has all the collective work. Will LR recognize the path to the image even though we log into 2 different DB accounts? You’ll have to be really careful that the catalog’s fully synced on both computers before the other person opens it, so just watch out for that or you’ll get a bunch of conflicted copies and they’re a pain to fix. Will the External Hard Drive option work if you have a Wireless Network External Hard Drive that be accessed by both computers? Highly unlikely. That would be seen as a network drive, which isn’t supported because network connections – and especially wifi ones – are notoriously unreliable. You could put the photos on there, but not the catalog. First up – thanks for providing such an awesome resource !!! I’ve skimmed through this thread and not seen a situation that matches mine – apologies if it’s been covered already….I have a Windows 10 desktop with Lightroom catalogue – its my main editing machine. The library is a mess and needs tidying but I can’t commit to spend the required hours holed-up in my studio to get it done. So, its a job for when I’m travelling or infront of the TV, with my Macbook, but it will take several weeks to complete the re-organisation on the laptop, whilst other editing continues on the desktop. Common comments from above suggest that I can copy the catalogue to the Macbook and make changes. I have some questions/concerns that hopefully you can help with…. 1. Is the Lightroom catalogue platform independant ? 2. What happens when I merge the catalogue some weeks after starting the tidy-up? 3. What is your best suggestions for my predicament? Hopefully this is a common situation that people find themselves in with an easy fix, but I eagerly await your guidance…! Many thanks in advance. > 1. Is the Lightroom catalogue platform independant ? Yes. You might have to “find missing folder” when you switch though. > 2. What happens when I merge the catalogue some weeks after starting the tidy-up? A complete mess. You don’t want to do that. > 3. What is your best suggestions for my predicament? Where are the photos stored? Ideal case scenario, put the catalog and photos on an external drive that you can plug into whichever computer you’re using at the time. If your reorganization doesn’t involve moving or renaming photos, you could get away with just transferring the catalog to the MacBook, but don’t try to use the desktop version in the interim without copying back your edited version of the catalog first. Trying to merge will potentially cause all sorts of trouble. OK thanks so much for the quick reply. Not what I wanted to hear, but it’s good clear advice. Thanks! Thank you for the walkthroughs. Just wondering: was there the next week follow-up published? Checking for understanding, when you want the scenario of working in LR between a MacBook and iMac you can store your catalog on an external hard drive. Is only the catalog on that drive and your photos on a separate drive? Hi, if I have a personal server on my local network that I have set up as a network drive using standard-issue microsoft/windows network sharing protocols (SAMBA/CIFS) can I set the catalog up on the server for two workstations both on the same network as the server to use? I would think one restriction is both can’t use the catalog at the same time, but otherwise that should work, right? Lightroom won’t allow you to open a catalog over the network at all, because if the network connection drops at the wrong moment, it can corrupt the catalog. I’ve been sharing one LR catalog between a laptop and a desktop for several years with no problems. It’s simple – just put all photo originals in, say, c:\OneDrive\Photos and the LR catalog is in c:\OneDrive\LR_Catalog Just never have LR open on both PCs at the same time, and always wait for OneDrive (or DropBox) to fully sync boths PCs. I have been keeping my LR catalog on an external 2TB SSD (automatically backed up to my Drobo and another external HD when it is attached to my iMac.) As a heavy macro shooter who focus stacks, I have about 20TB of photos, I have all of my photo external drives, except entire onsite and offsite sets of backup, connected to the iMac. When I travel, I bring my LR catalog with me. I download new images to my SSD (with a copy to my laptop) When I return, I move the images from the SSD to more permanent storage using LR so it keeps track of all the work I have done. Is there any downside to using this method? Sounds fine Irwin! I do something very similar. Has there been any discussion, hint, etc from Adobe about including the ability to share a catalog on a local network? Spending a weekend shooting games/matches/etc – It would be great to be able to edit game 1 on PC A, then let PC B handle the upload while I move on to edit game 2, and so on and so on. Right now, when I tell it to upload (to smugmug) it slows LR to a absolute crawl for editing anything else. There’s been plenty of discussion, but it wouldn’t be in Lightroom Classic. The database is SQLite and if they were to do network sharing, they’d have to rebuild it on a new (and likely much more expensive) database. Maybe sometime in Lightroom CC though, as it continues to grow, as it’s built with multi-device in mind. I was was wondering if you think this workflow can work. Shooting on location with a Nikon camera sending low res jpegs to an iPad through SnapBridge then to Lightroom CC where the client makes selections. Back in the studio, the selections show up in the desktop Lightroom classic. Would there be a way to import the raw files from the memory cards to the studio computer and link the low res jpegs with the raw files withe the same numbers.